The general consensus is that California’s 2015 harvest is a superb vintage. The crop was lighter than the previous year and was one of the earliest seasons on record. Even with wildfires in some areas and a fourth year of drought, the quality was high in all grape-growing regions. An early bud break was followed by an extended bloom and cool spring weather. 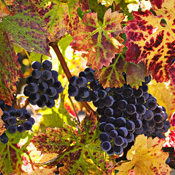 The result at harvest was smaller grape clusters, and crop sizes varied across the state. It has been estimated that the California-wide crop was nearly 3.8 million tons. From north and central coast vineyards to Napa to Sonoma to the Santa Rita Hills in Santa Barbara County, the buzz among winemakers was consistent: lighter crops, superior quality grapes, an excellent vintage, and lots of flavor. Of all the winemaking terms that get thrown out there for reds, such as fruit-forward, medium-bodied, and oakey and vanilla notes, it’s that word “intense” that really gets the attention. Full of flavor and richness drives a quality red wine, or any wine for that matter. All of this praise for the 2015 harvest will naturally leave the consumer in a great state of anticipation—yearning to taste the wine from this vintage. At the moment though, consumers will have to be content with their 2013 and 2014 reds. 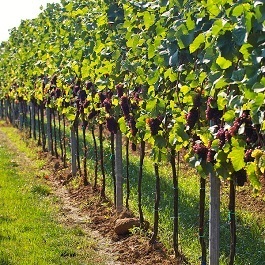 Depending on the winemaker and what he or she hopes to do with the grapes from 2015, releases will generally be anywhere from fall 2016 to spring 2017. But boy, it should be good stuff!